Yes things do get easier when you have the contacts, godfather and backing, but it does not mean without this its impossible to enter litigation. Days were long gone when only godfather, contacts, backing were an important factor in litigation. Today there are many other ways to start your own practice without any support, the internet has provided a medium to communicate with the people, learn the power of internet to get started.Today client demands good quality work, even if you have one client do his work really well other clients will join and soon you will be a contact making machine. Yes indeed litigation is demanding, lot of struggle yes little money initially but if you are passionate about litigation then only enter this area, regarding struggle and no money, i say litigation is similar to entrepreneurship, which is quite exciting and thrilling, so choice is yours chose a 9 to 5 legal job or go for a roller coaster ride. So you have to view struggle with different perspective and then only you will find motivation. Earning money will also not be difficult only perquisite is passion. the time needed to get stable in litigation depends on you, it may vary 1 yr, 2 yr or even more. but the passion and energy towards litigation would make you stable from the day 1, if you think money is the prime concern and you are motivated only by money then you never become stable. Its the recognition that matter, be recognized in your social circle you will be stable in no time. litigation is all about creating your brand so the joy of it cannot be counted in years. 4. Couple of years under a senior then i start. Well working under a good senior for few months or may be a year is enough to start with litigation, however there is no fixed time limit, it depends on you, plunging into litigation independently is a risk and those who will not plunge will end up being junior for years, therefore working under a senior depends on you and your confidence. 5. How can i start i don’t have an office. 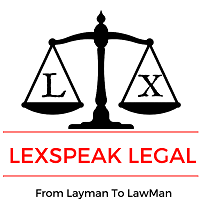 Having an office is important for litigating lawyer, in initial years having a small setup at home will kick start your practice or meet clients at cafe, a printer and laptop at home is enough to get started. later you may rent an office.